Each year an estimated 775,000 family members are impacted by the suicide attempt or death of a loved one. Countless others are concerned about friends. 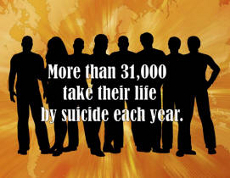 Young adults aged 18-24 have the highest incidence of reported suicide ideation. One fourth of all persons aged 18-24 years in the U.S. are either full- or part-time college students. According to the Centers for Disease Control and Prevention, suicide is the second leading cause of death for Kentuckians 15-34 years old. From the National Institute of Mental Health, "suicide is the second leading cause of death among college students in the U.S."
Hinting, writing, or talking about suicide is a call for help and must be taken seriously. When confronted with a situation in which life-threatening behavior is present, immediate mobilization of all appropriate resources is paramount. 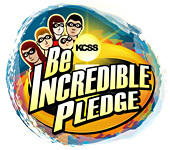 Under such conditions, commitment to student confidentiality is superseded by the need to initiate life saving interventions. 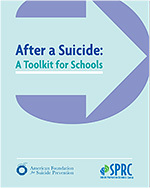 This document offers evidence-based recommendations for creating safe and effective messages to raise public awareness that suicide is a serious and preventable public health problem. The following list of “Do’s” and “Don’ts” should be used to assess the appropriateness and safety of message content in suicide awareness campaigns. Together, we can create awareness and give emotional support to those who may be contemplating suicide. If you or someone you know is in an emotional distress or suicidal crisis, please call the Lifeline at 1-800-273-TALK (8255). 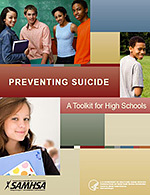 Guidelines for schools responding to ... suicide – National Center for School Crisis and Bereavement (NCSCB) – Guidelines designed to respond to the needs of students and staff after a suicide has impacted the school environment.